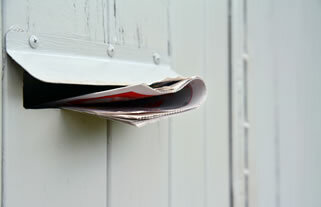 What is a good response rate for a letterbox drop or direct marketing campaign? Advertising is an investment. Unless you’re selling a high ticket item like houses or cars don’t expect to make money off the first sale from that customer. The idea is to build your customer base and keeping selling to them time and time again. To determine your response rate, you simply count up the number of responses your flyers generate, then divide by the quantity sent out. 50 responses divided by 10,000 flyers sent out = 0.5% response rate. To determine your return on investment, you simply count up the number of responses your flyers generate times the lifetime value of a new customer divided by the amount invested. 50 responses time a lifetime value of $300, divided by the investment of say $1,300 = $11.50 for every $1 spent. Also see Do letterbox drops work?